The European Union will take up legislation to stop changing its clocks twice a year, after a public survey showed strong support for the move. 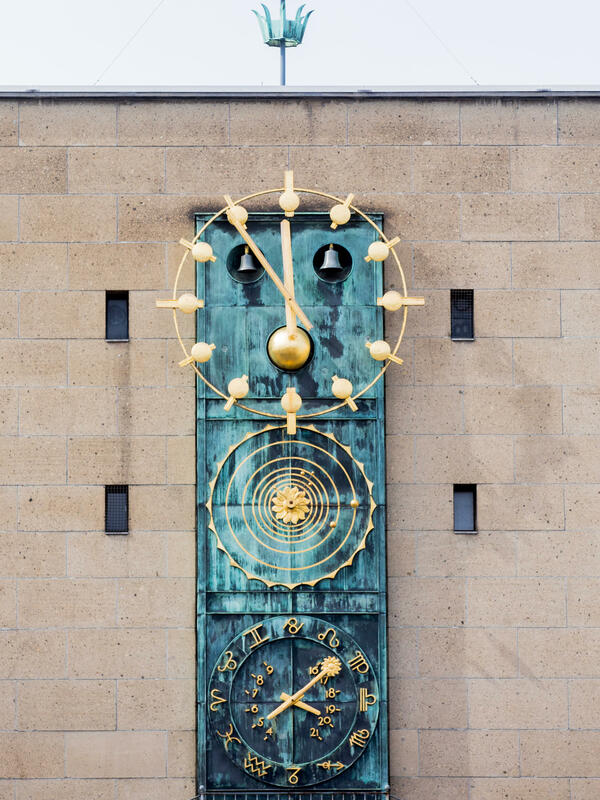 Here, a view of the astronomical clock at the University of Cologne in Germany. The European Union is poised to decide whether to stop changing its clocks twice a year, after the idea of abolishing the practice won overwhelming support in a public survey. Some 84 percent of respondents in that online vote said they want to abolish the clock changes that fluctuate between daylight saving and standard time. More than three quarters of the 4.6 million responses said that changing time was a "negative" or "very negative" experience. People's rationale included "negative health impacts, increase of road accidents or the lack of energy savings," the European Commission said. If the proposal is adopted, each member nation will be able to decide "whether to go for permanent summer or wintertime (or a different time)," the EU said in its callout for the public to weigh in. More people responded to the online question about switching between summer and winter time than to any of the bloc's previous surveys, the European Commission says. The issue of ending daylight saving time was put on the agenda by European Commission President Jean-Claude Juncker — whom the BBC quotes saying on Friday that millions of people "believe that in future, summer time should be year-round, and that's what will happen." When the EU analyzed the possible benefit or harm of the clock changes, the study "failed to come to a conclusive outcome," but it also "indicated the existence of negative effects on human health," according to a resolution the European Parliament adopted in February. The idea of dropping the change between daylight saving and standard time received strong backing in many of the EU's 28 countries. In the online vote, only Greece and Cyprus saw more than 50 percent of respondents in favor of keeping the changes. Malta and Italy were the only other places where more than 30 percent voted to keep switching time. Details about the pending legislation aren't yet public, meaning it's not yet certain how countries might be allowed to choose their own time settings, or if they would be compelled to remain on a unified clock across the EU's three time zones. "A handful of nonbloc countries in Europe already don't switch between summer and winter time, including Russia, Belarus and Iceland," as NPR's Soraya Sarhaddi Nelson reports from Berlin. The EU's member nations once had a melange of times, due to differing clock policies. But in a synchronization process that took years to complete, all of them have been changing their clocks every March and October since 1996. Several U.S. states and territories operate on their own clocks. Arizona, Hawaii and Puerto Rico have never adopted daylight saving time; Indiana, long a holdout, did so in 2006. Earlier this year, Florida adopted a law to keep the state on daylight saving year-round — but that change would require approval in Congress, and the legislation hasn't moved forward.